I was sent a couple bottles of Angry Orchard so that I could make a cocktail or two of theirs to share with you all. I was not paid and all opinions are my own and completely honest. 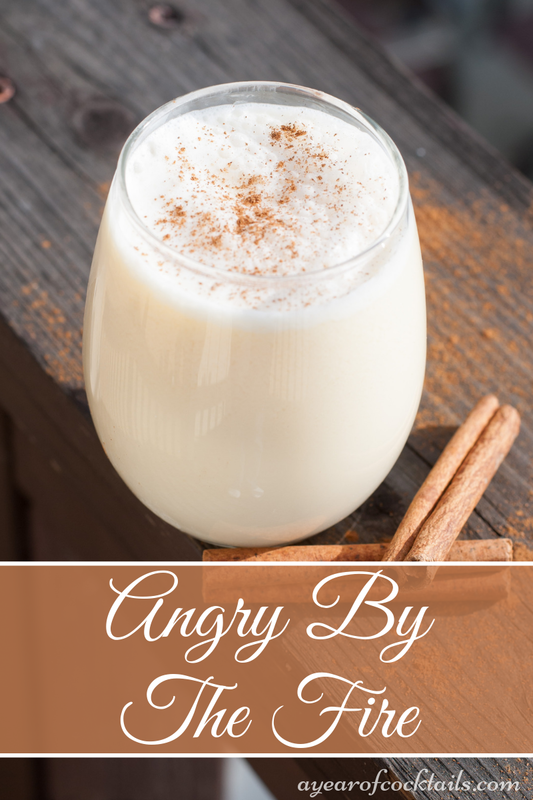 I chose Angry By The Fire because of all of the fun ingredients that goes inside! 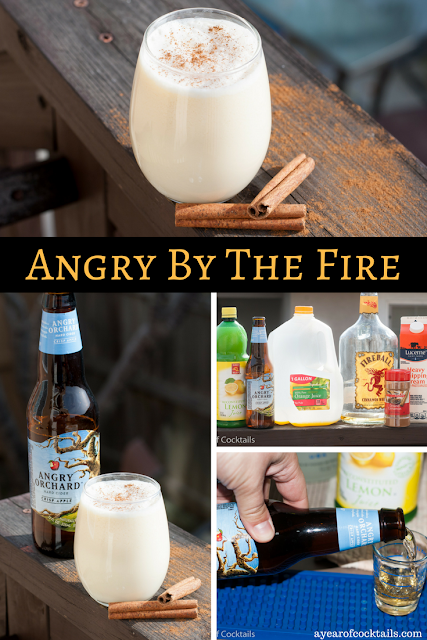 From Angry Orchard to Fireball Whisky to heavy cream and more, this cocktail is a delicious fun blend of ingredients topped with cinnamon. It is definitely one I will make again! With two day left until Christmas, our kids could not be more excited! We've had one family Christmas party so far with two to go. Last night we went over to our friends house and had Christmas Carolers come and sing a few songs to us. I've only seen that in the movies and it was so super special to see it live! What a fun cocktail to make with all of these ingredients! Also, it allowed me to make my very own, very first Homemade Vanilla Simple Syrup! Here's how I did it in my Vanilla Simply Syrup post in case you want to make it yourself! Here is how you make this fun cocktail. Obviously you are going to add some Angry Orchard to your shaker. Lemon juice adds a nice refreshing taste to this cocktail. Not to mentions my Homemade Vanilla Simple Syrup! Top with ground cinnamon, which adds a tasty touch. Add ice and all ingredients into a shaker. Shake and strain into a cocktail glass with no ice. Top with a splash of Angry Orchard Apple. There you have it. Angry By The Fire to enjoy......well.......by the fire or anywhere! I'm so happy you enjoyed it! It was quite yummy!